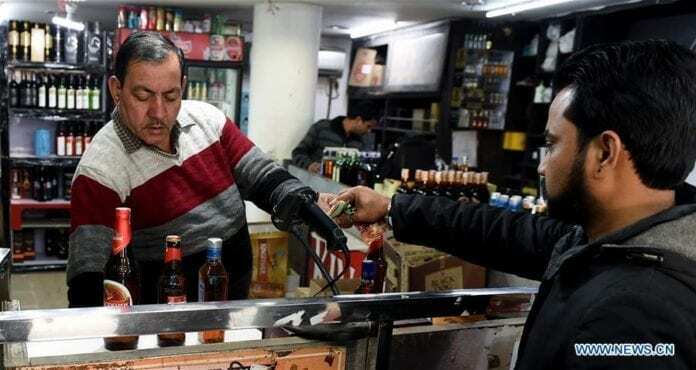 As death toll mounts in two northern Indian states of Uttar Pradesh and Uttarakhand, police have launched a massive crackdown on the illegal dens of spurious liquor manufacturing places, officials said Sunday. In Rorkee of Haridwar district in Uttarakhand 28 people have died because of the consumption of hooch. “The viscera examination on more bodies is yet to be conducted to find out if these too were alcohol-related deaths,” an official said. The authorities have suspended 13 excise department personnel and four policemen in Uttarakhand. Around 1,066 liters of hooch have been seized during the raid and over 50 people detained in state, reports said. “The entire matter is being investigated and guilty would not be spared,” an excise department official said. According to health officials around 150 others were being treated for severe side effects from the hooch in the twin states. Officials suspected the death toll is likely to go up in wake of many people admitted in hospitals. In December 2011, hooch tragedy killed 172 people in West Bengal. Spurious alcohol deaths are often reported in India, where people often drink cheap country made bootleg liquor.